Revised installer workflow. 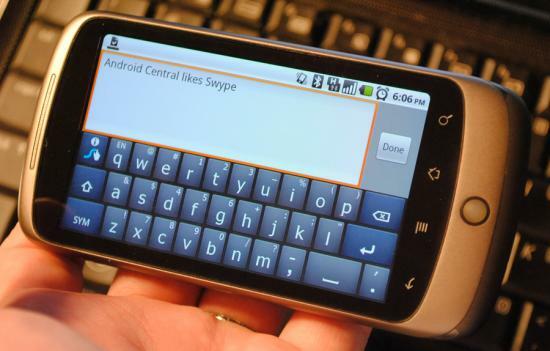 Users can now enable Swype and select it as the default input method from within the Swype installer. The installer now includes a repair feature. If a previous installation failed, or if the existing Swype BETA installation is broken (missing/corrupt license, etc), the installer will attempt to resume the installation process and repair any broken elements. Clarified error messages to give a more accurate description of the specific problem encountered. Added links to the tutorial and tips-and-tricks videos to the end of the installation. Added support for new installer features, such as version checking and installation repair. Of particular interest to us is the second bullet point. If a previous installation failed (and guess who had that problem) ... That's right, it crashed and burned for me but is up and running now. Oh, happy day.